Road biking is a great way to improve your overall fitness, as well as to provide a fun way of meeting up new people and absorbing the surroundings. In addition, road bikes can satisfy the thrill seekers, the competitive types and even the adventurers. Well, when it comes to buying your first entry level road bikes, there are a number of factors you need to consider. To assist you to make a well-informed decision, we have created this beginner’s guide on how to buy a road bike. Here are the things you need to look at when buying your first road bike. This is a crucial factor to look at when you are buying your first bike. You must ask yourself questions like; will you be riding your bike on paved or flat roads? Would you want to ride the bike on rugged surfaces? Determining the type of riding surface will make it much easier to choose the right road bike. 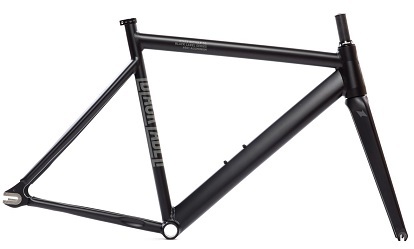 The frame is one of the first parts you need to look at when buying your first road bike. Frames for road bikes are usually made from 4 main materials, namely: steel, carbon fiber, aluminum and titanium. All of these materials have a different set of characteristics and will affect the weight, cost, comfort bike and even the general feel of the road bike. For a beginner’s bike, you should consider getting an aluminum one because of its lightness and durability without the added cost and fragility of carbon fiber. A groupset is basically a set of matching components from the component manufacturer. Bike models with a groupset have a refined, consistent and stylish appearance compared to bikes that contain the miscellaneous assortment of different components. That said, it’s important to note that a groupset refers to the components such as cranks, chainrings, cassette, levers, derailleur, and brakes. The best buying tip is to opt for the best groupset within your budget. Higher end groupsets usually provide a smoother shifting, are of lighter weight and offer more gear choice. Choosing the right gearing means more comfortable pedaling and happy knees. Regardless of the type of road bike you pick, it will not be much fun riding if your gearing is not appropriate for your level of fitness level, experience and type of riding surface. So make sure you choose the gearing which meets the said criteria. Another important factor you need to consider is the quality of the brakes in the road bike. A good road bike should provide you with reliable and sure stopping power in case you encounter any obstacle when riding at high speeds. When choosing your first road bike, you will most probably be presented with two options in terms of stopping power, disc brakes and rim brakes. Well, the main difference between a disc brake and a traditional rim brake is where and how the braking forces get applied. There are pros and cons of both systems. For instance, disc brakes are great at having a very consistent stopping power in both dry and wet conditions, while rim brakes tend to suffer in the grimy and wet conditions; however, they’re easier to maintain, cheaper bike, and also provide more wheel upgrade options. Bike size and fit are vital considerations when buying your first bike as a beginner. If you happen to get a bike that isn’t correctly fitted, it’ll be uncomfortable and can even cause serious issues like carpal tunnel and a strained back. On the other hand, if you’re comfortable on your road bike, it’ll provide a much more enjoyable experience, and you’ll want to keep riding it more. The guide above is just the base of what you will need to put into consideration before buying your first road bike. I hope it has helped you find your way through the plethora of considerations and questions that you’ll be going through when choosing your first road bike. 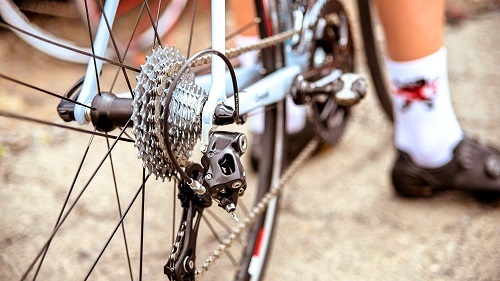 Note that, as you progress and gain more experience, there are other things like handling and aerodynamics, or ratios of the cassette that will become even more important to you. But for now, your priority is to get the right road bike as a beginner.